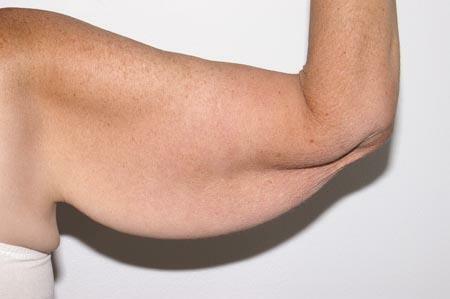 The arm lift before and after photos below are of Dr. Wisnicki’s patients. This 50 year old woman enjoyed significant weight loss after gastric bypass surgery.She was concerned with the skin sagging which resulted. 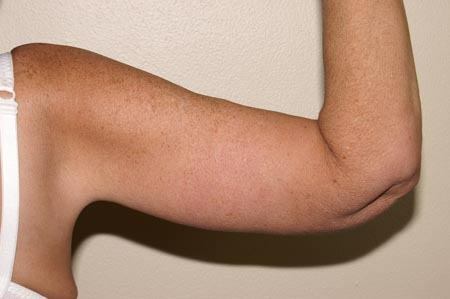 She had armlifts performed by Dr. Wisnicki in West Palm Beach, Florida resulting in good improvement of the contours. 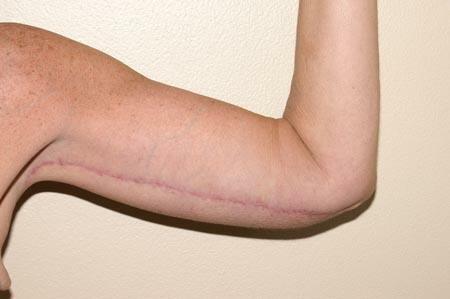 The resulting scars are positioned against the body when the arms are down so as not to be visible. This patient underwent multiple skin reduction procedures by Dr. Wisnicki after massive weight loss. These included breast uplifting and placement of implants, abdominal panniculectomy, and bilateral thigh lifts. 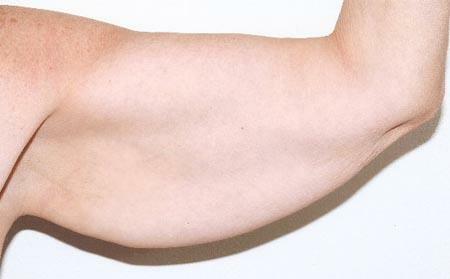 Pictured here are the results of her armlift.